This is a really important discussion. A couple of threads particularly, for me and the work I've been doing with organizations. 1. Interesting, intriguing to connect "the future/demise" of print journalism with the situation for arts organizations -- both social capital, community asset, affected by change in cultural communication and engagement and in tech. What does it mean. What could it mean. What could we lose if we don't lead in different, more engaged, community-informed ways. What we could gain if we get it at least almost right. 2. What business models (plural, I insist) can really work, sustainably, to support the dynamic development of indy arts/culture and journalism/info in our communities? The national scaleup "franchise" model works for youth service, but for arts (I don't think so--although something like it does in Venezuela with the youth orchestras). In some cases, small is the new big (ethnic community print papers are doing well financially). 3. Ask and engage people who experience, hear, see, read, dance, learn, use, question. This is where we know if our work is relevant (or not). We don't do this well enough at all. 4. The money/funding model should reflect and follow the work/program/engagement model. Who pays (and how they are asked) is a part of carrying out vision, mission. Fundraising (etc.) is movement building. Who else is interested in this topic. How can we work together to move it forward? Great questions Beth and Amy. Thanks for calling attention to these vital, existential questions for the arts. I think the recession has put into high relief that fact that many arts organizations, buoyed by a boom in arts participation in the '80s, grew their fixed costs by building concert halls and museum wings they couldn't fill, and creating season programming based on full-time employment for musicians, for instance, rather than audience demand. The number of theaters in the U.S. grew from 1990 - 2005 by 100%! Brian's thought about demonstrating value is a key one, for me -- organizations that can communicate their value in serving their communities will have a better chance at survival than those that seem to be more concerned with self-perpetuation. And this is one time that being a smaller organization with lower fixed costs will be an advantage. An artists' collective that doesn't own its gallery space or have paid staff can be more nimble than even the smallest museum. I think we're going to see a rise in visibility of smaller, possibly ad-hoc arts organizations, and they may have a lot to teach us. http://www.c-3-d.org. Look in the section on case studies and select Mass MoCA--from there, select the social network map. This piece by Adrian Ellis, on museums' over-reliance on wealthy donors, is very pertinent re: arts business models. I would say it extends to most other kinds of cultural organizations, too. - Arts bloggers have been thinking about this a lot. Some good thinkers out there include Fractured Atlas, Parabasis, Clyde Fitch, Artful Manager. 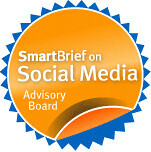 You can also check out my blog under the arts policy label. - The arts have demonstrated economic impacts as well, and can be part of the solution to an economic downturn rather than part of the problem. For this a great resource is the Center for Creative Community Development. Check out their >case study on Mass MoCA and its impact on North Adams, MA. This is all to say that the arts have great potential and are by no means dying, but they can't reach that potential without investment. In this way they are much like other kinds of infrastructure. We need to start thinking more about the (in my opinion, central) role of the arts in healthy communities, rather than in isolation as just a fun and interesting thing that people do. Hi Beth. It's very interesting and saddening to see what is going on with the arts in the US, and no doubt impacting us here in Australia too. I'm discovering the need for greater research on social capital value of the arts through my involvement with the Centre for Cultural Partnerships(CCP) at the Victorian College of the Arts. Watching this space and I hope to let you know what I learn. Thanks for the post. I've been speaking with Hildy Gottlieb about how non-profits in general need to start discussing what type of community they want to create - together. The bigger vision. Not many people care about the future of non-profits, but EVERYONE cares about the future of their community. I think the most interesting question this post raises (among many others) is "why is movie attendance up if arts attendance is so far down?" This absolutely calls into question the survival potential of many of these arts organizations: are they listening to their audiences' demands? Are they giving the customers what they want? I think the suggestion that it's a marketing issue begins to get there. Hollywood (etc. etc.) has figured out how to give the people what they want. How can arts organizations do some of that too, while continuing to either perpetuate art forms that have become less popular over time and/or push the envelope in ways that many people are not interested in? How can arts organizations develop a product that is based on their audiences' needs and wants rather than entirely the desires and inspirations of the artists? It seems to me that if an organization begins to struggle with these sorts of questions, although they certainly fly in the face of how they have worked in the past, it will have some potential of rising from the ashes, as you say. This is a fascinating post and a very important topic not only for those interested in the arts but also community and economic development in general. I began my career at the NEA and remember how critical our grants were to organizations and individual artists, not only for the money they provided but also because of the government's seal of approval. Grants were determined not by local arts agencies but by peer panel review. Every dollar was a reflection of what leading talents thought was important to support, whether it was the tried and true or the challenging and new, and other donors knew it. Questions on the organizational applications addressed audience size, underserved populations, overall budget and sources of support, all important to evaluating which organization provided the greatest value and where the grant might have the greatest impact. To my recollection, however, we did not ask specific questions about individual financial support. I learned how important this characteristic of organizational independence and sustainability was after I left the Endowment and began consulting on major gifts. I was surprised when I learned how many organizations felt uneasy about generating revenue outside ticket sales and institutional support. Most vivid in my mind is a conversation with a nationally recognized alternative presenter in New England who told me, "if I have $5,000 to spend, I'd rather spend it on writing a proposal to a foundation than identifying my wealthy supporters." Then the stunning admission: "I really don't want to talk with those people anyway." Now, I wouldn't apply this one person's aversion to "rich people" to all arts organizations. It would be safe to assume that the vast majority of organizational leaders are well aware of the immense and sincere contributions made by individual donors from the time of the Medicis to the millions given for creative writing at Wesleyan just weeks ago. At the same time, I'm unconvinced that there is great comfort at smaller organizations with reaching out to affluent supporters individually and sharing power at the leadership level. And this, I believe, is precisely what could help ensure survival in times like these. Just this week, one of the fundraising listserves had a lively exchange on the subject of how to manage constituent data. While universities try to argue for individual records on each constituent, some organizations group them together in families, almost as if it is the household purchasing tickets, attending functions, etc. On one level, this was a technical discussion ("what will our software allow us to do?"). But on another level, this is symptomatic of our desire to direct market to an address rather than to actively engage in a real partnership with successful people outside the arts to build and sustain our organizations. I believe a major gifts orientation can be especially useful now because it is wealthy individuals who have best weathered the financial storm. And while most people might be generous of heart by nature, it is clear that organizations which have made a commitment to building a major gifts program, which includes staffing and resources, raise more money from individuals. While Bob Lynch may be right about the danger arts organizations are in today, I do think those same organizations have at least a partial remedy at their disposal: A network of individual supporters waiting for someone to knock on their door and say, "how can we work together to save and advance this thing we both love so well?" 1. The GI Bill allowed many returning vets to train in the arts. Boom of artists. 2. Federal government funded massive growth in the arts sector through arts orgs in the 60s and 70s. 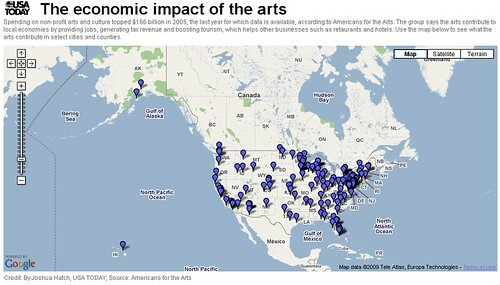 Boom of arts orgs. 3. The 80s saw a tangle of culture wars and redistribution/cuts of federal funding down through/to state arts agencies. Foundation funding grows, but not much, steadily through 80s. 4. In the 90s state funding drops off and arts orgs go after corporate funding, without much understanding of the value of the brand equity that they're selling. Foundation funding still growing, but only a tiny bit. Massive emphasis in foundation funding is "audience development," or the creation of a customer base from scratch through education. 5. In the aughts (I finally get to say that!) foundations are destabilized by wobbly markets. Corporate funding largely has completed a shift from philanthropic/community goals into straight marketing. Arts orgs look to individual donors (tricky, as these are also your ticket buyers) and place additional emphasis on other earned revenue sources. Government (state/ federal) funding down, foundation funding unpredictable, now consumer spending down. And that's where we are today. Margaret Wyzomirski trained me in the arts sector at Ohio State, and if you can find any of her current coverage of the state of the sector I'll be good. Americans for the Arts is an advocacy org that evolved out of the state arts agencies umbrella group, and has rolled up a number of other national advocacy orgs. I agree that we're about to lose a lot of arts orgs. Hoping that museum boards take a long term view (as they morally should, being stewards of objects) and that performing arts orgs can overcome challenges and move quickly in mergers. P.S.- Margaret Wyzomirski, if you find this post know that I'm terribly sorry that I never finished my thesis on marketing and earned revenue trends at arts orgs. I came out to research Copia, and it turns out it took 8 years to get all the data. Now that their bankruptcy judge has mandated they liquidate assets, I think I'm finally ready to write it up. Please forgive, kinda new to the NP world but regarding concert hall goers, is there a study on why people go to concert halls? What is the main driver that make people go? As with other nonprofits, it may help to think of arts organizations not so much as monoliths but as dual management structures that, like Peer Gynt's onion, fall apart into two halves when the layers are peeled away. For example, I know of arts organizations where the executive staff is much more aware of external trends and of increasing apathy toward their product, and are restrained from acting on that knowledge by boards and high-level supporters that are significantly more conservative than they. I also know of organizations where the opposite is true. Opera companies have listened disproportionately to their most conservative supporters for years, and are now finding out that those supporters either cannot or will not put the expected amount of money where their mouths are. And symphonies are learning that, however much you may aspire to the (laudable) goal of providing exclusive, full-time employment for your players, you simply cannot fill seats at enough concerts to do that in most if not all cities. There is a sort of tragedy of the commons going on with arts audiences of which symphonies are perhaps the biggest but far from the only example. And for that, no, marketing isn't the answer: you can't get out of that situation by herding more sheep onto the grass.